We are excited to announce that we will host the first-ever Scratch Conference Europe in the UK this summer: from Friday 23 to Sunday 25 August at Churchill College, Cambridge! Scratch Conference is a participatory event that gives hundreds of educators the chance to explore the creative ways in which people are programming and learning with Scratch. In even-numbered years, the conference is held at the MIT Media Lab, the birthplace of Scratch; in odd-numbered years, it takes place in other places around the globe. 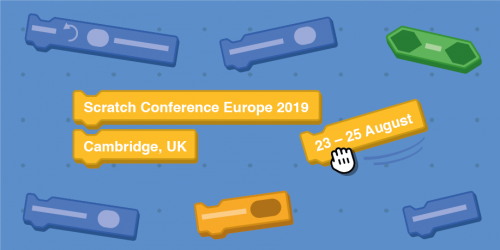 Since 2019 is also the launch year of Scratch 3, we think it’s a fantastic opportunity for us to bring Scratch Conference Europe to the UK for the first time. 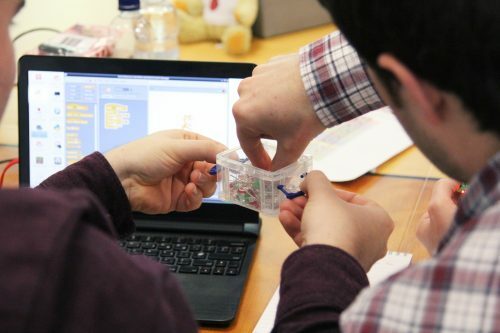 Join us to become part of a growing community, discover how the Raspberry Pi Foundation can support you further, and develop your skills with Scratch as a creative tool for helping your students learn to code. We warmly welcome young people under 18 as content contributors; they must be supported by an adult. All content contributors will be able to attend the whole event for free. Find more details and apply to participate in this short online form. Tickets for Scratch Conference Europe will go on sale in April. 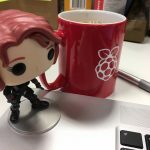 For updates, subscribe to Raspberry Pi LEARN, our monthly newsletter for educators, and keep an eye on @Raspberry_Pi on Twitter! 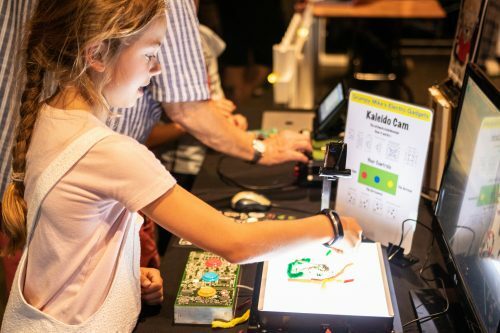 Since we’re hosting Scratch Conference Europe this year, our digital making festival Raspberry Fields will be back in 2020, even bigger and more packed with interactive family fun! 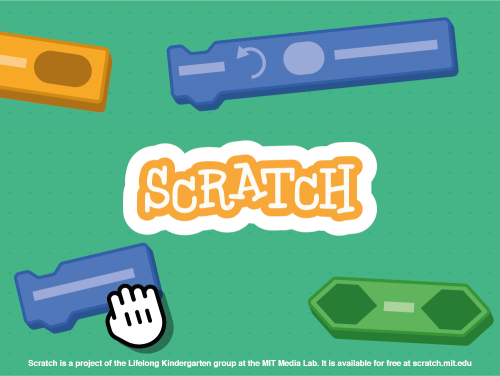 Scratch is a project of the Lifelong Kindergarten group at the MIT Media Lab. It is available for free at scratch.mit.edu. Can you please fwd the cost of registration for the conference. Thank you. Fantastic news, please can you contact griffpatch and ask him to be a keynote speaker? Is this in place of the planned official 2019 Scratch conference in Africa or in conjunction with it? As far as I’m aware this is one of three Scratch conferences 2019 in the making, so along the two conferences announced from Africa. 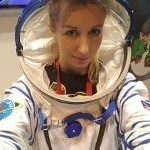 Any idea when will the tickets be released for the Scratch conference? Tickets will go on sale at the end of this month, along with the webpage for further information. How do we know if we’ve been accepted to speak or not? Please contact [email protected] and one of the team will be happy to discuss this with you if you haven’t heard already. I am the person who designed and contributed the Xy-grid-20px and Xy-grid-30px backdrops which you can see in the Scratch 2 and Scratch 3 backdrops library. These grids make Scratch about 80% more applicable to K-12 maths teaching (I speak as an experienced teacher, coder and maths curriculum expert). I have shared about 150 projects which support this statement. Hi Seamus, thanks for emailing us with these details. We hope you received our reply, and are very sorry we’re unable to schedule any more content. When will potential speakers be informed. Need to book summer holidays. The contributions process is closed? When the tickets will be available? Yes, we’ve closed the contribution process. Tickets will become available at the end of April!